Pellet Therapy uses hormones made from natural plant sources to reproduce the body’s normal hormones. Many people have found that bio-identical hormone replacement therapy with pellet implants makes them feel fabulous. Implants, placed under the skin, continuously release small doses of hormones that provide the best results. If you are interested in learning more about BioTE® Hormone Therapy and if it’s a fit for you, please call our Live Well Center at 480-752-7600. The Live Well Center is located in suite #25 at Warner Family Practice and patients can enter that suite on the south side of the building. Our contributing provider to this article on BioTE® Hormone Therapy is Dr. Merle Turner. 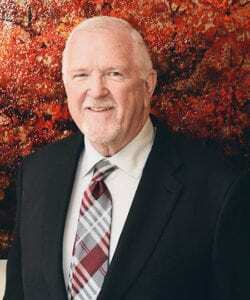 Dr. Turner founded Warner Family Practice in 1981 as Lakes Family Practice. The name was changed to Warner Family Practice in 1983. He currently serves as Medical Director. You can make an appointment with Dr. Turner by calling Live Well at Warner Family Practice at 480-752-7600.